Download Beauty Salon Roll Up Banner For Free. 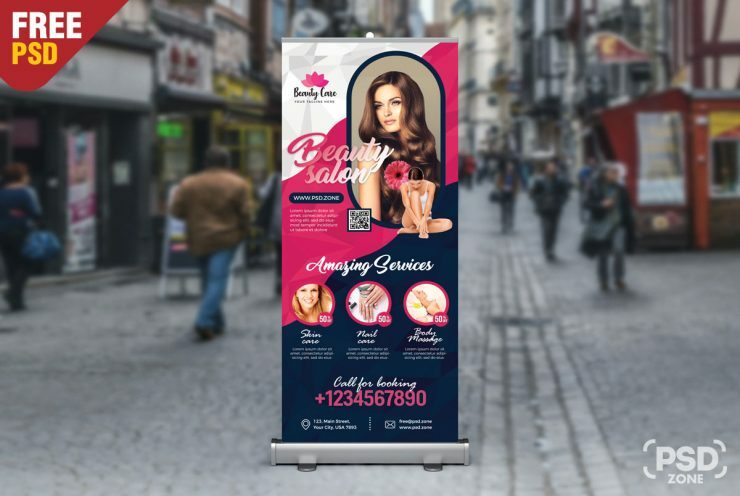 Beauty Salon Roll Up Banner PSD is perfect for hair salons, beauty salon, beauty parlour and spas promotions. The Roll Up Banner PSD file is fully layered and organized to keep customization in adobe photoshop very simple. Just replace your logo, text and images and done.